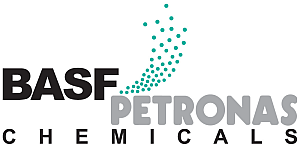 BASF PETRONAS Chemicals Sdn Bhd is a joint venture between BASF SE of Germany one of the world's largest chemical companies, and Malaysia's state owned Petroleum Corporation Petroliam Nasional Berhad (PETRONAS). Today, operating from one of the largest Integrated Chemical Sites in the Asia Pacific, BASF PETRONAS Chemicals, has progressed to become a leading chemical company, fundamental in producing and marketing chemical products which are ever present and highly essential in consumers' daily lives. In doing so, we strive to not only provide the best service to our customers, but also to be relevant and beneficial to our employees, suppliers, the community we operate in, and the environment at large. Are you seeking for a challenging step change in your career? In a place where there are diverse opportunities for learning and career development? You joining us at BASF PETRONAS Chemicals could just provide the kind of synthesis reaction we’ve both been seeking. If you come with an open mind and are ready to embrace challenges, we can create the right chemistry. This is your opportunity to step into the warm folds of BASF PETRONAS Chemicals family. Embark on a journey where a whole new world of career possibilities is laid out for you with our career progression program. All applications will be treated with strict confidence. Only shortlisted candidates will be notified. Interested candidates are invited to submit a detailed resume stating personal particulars, employment history, qualifications (accompanied with copies of certificates), contact telephone number, current and expected salaries and a non-returnable recent passport-sized photograph.